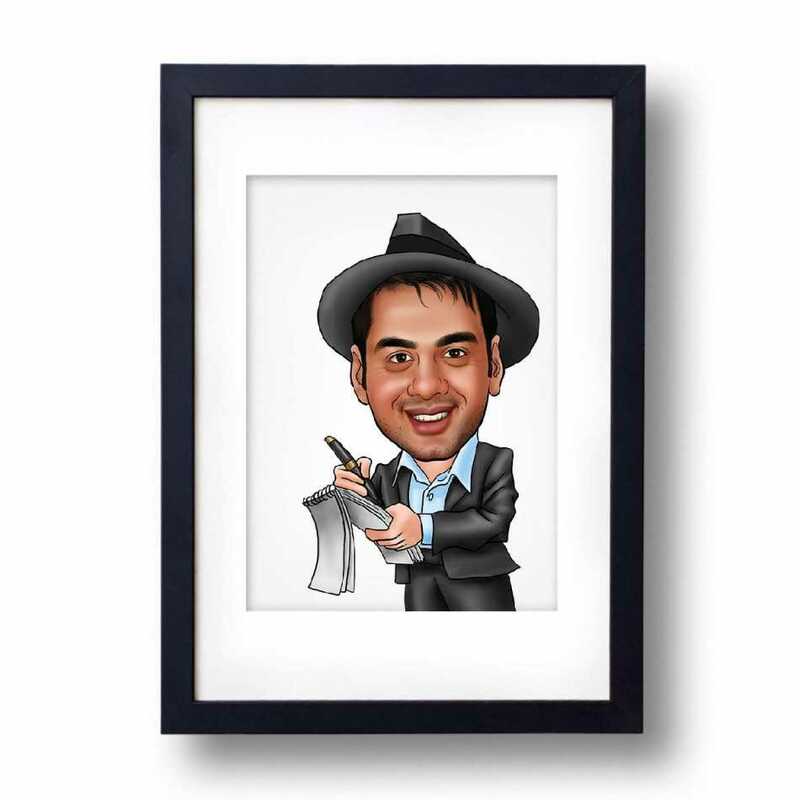 The journalist friend who is always rushing for _Breaking News_ sometimes need a self-boost and with this comical caricature photo frame, you can surely win his heart. It_s interesting and it displays your friend_s profession in the most remarkable way. This caricature depicts the funny face of a guy who is noting down the gossip of nearby surroundings. You can see he has dressed as a journalist with a notebook in his hand. His face looks pretty funny in this caricature. Think about how you will look like in this caricature. 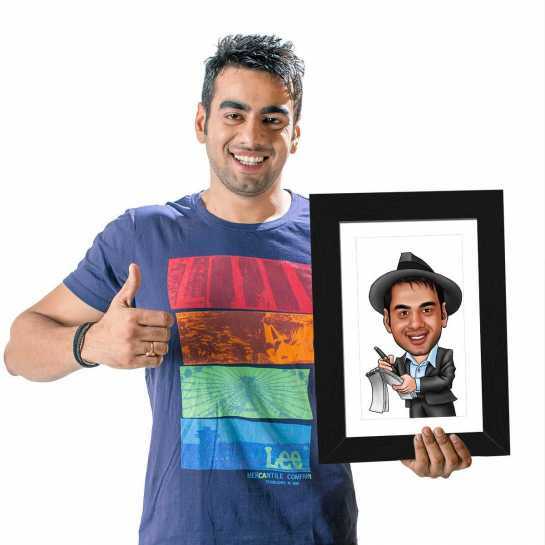 If you want to make your room look amazing, then you should hang up this caricature on the wall. It will always give you a feel of happiness whenever you see it. There will be no way that you will get disappointed whenever something doesn go as you thought. 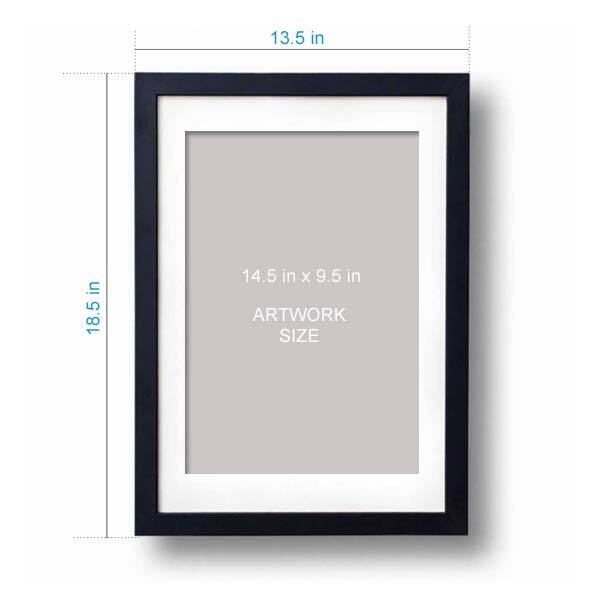 Additionally, you can buy this unique gift for your friend or cousin on his birthday. It will be spectacular to see the smile on his face after receiving this gift from a guy like you. This beautiful caricature specially created for special people like you.